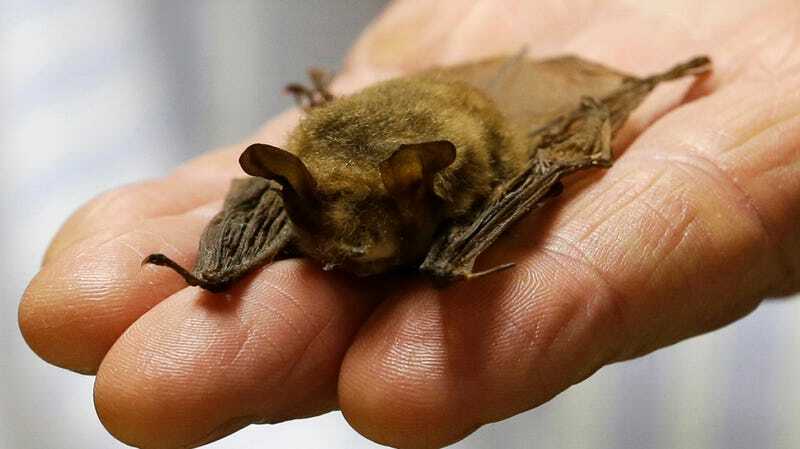 The pipeline threatens habitat for northern long-eared bat. New East Coast pipeline projects have been having a rough couple of weeks. On Monday, an appeals court withdrew a federal permit the Atlantic Coast Pipeline needed to continue construction through a national park in North Carolina and Virginia. This came just a few days after the Federal Energy Regulatory Commission (FERC) completely halted work on the Mountain Valley Pipeline, a proposed natural gas line set to run through the same region, because the same appeals court withdrew a similar permit for it a week earlier. Both of these major, cross-state natural gas lines have met serious opposition from environmental groups in Virginia, West Virginia, and North Carolina that are determined to keep the projects from cutting through beloved forests, swamplands, and private property. In the case of the Atlantic Coast Pipeline set to transport natural gas from West Virginia to North Carolina, the court found the decision by the National Park Service and Fish and Wildlife Service (FWS) to grant a construction permit “arbitrary and capricious.” The FWS failed to note how it would protect five threatened and endangered species (like the rusty-patched bumblebee and clubshell mussel) that’d be affected by construction. The park service, meanwhile, didn’t properly determine how this pipeline falls in line with the purpose of a national park, which the judges ruled is necessary to grant the permit. Opponents are now hoping that this decision will convince FERC to halt all construction on the Atlantic Coast Pipeline—just the way a similar ruling did for the Mountain Valley Pipeline last week. The Southern Environmental Law Center and Appalachian Mountain Advocates sent the commission a letter Monday noting any construction would violate the project’s certification from FERC. “It’s time to pause and take a look at this project for what it is, an unnecessary pipeline that’s being pushed through to benefit Dominion Energy, not the people of Virginia and North Carolina,” said Southern Environmental Law Center Senior Attorney Greg Buppert, in a press release. The commission’s earlier decision regarding the Mountain Valley Pipeline is encouraging for opponents, but main developer Dominion Energy is already trying to cozy up to FERC. The company was sure to tell the commission Tuesday it should be able to quickly work out issues the court raised with the permit. Gerken is unsure when the commission will respond, but if the last decision is any marker, it could be up to a week. “FERC acts on its own time, unfortunately,” he told Earther. The 600-mile Atlantic Coast Pipeline has hit a couple snags already, but tree clearing has already begun in Virginia. Full-on construction has begun in West Virginia and North Carolina, but much of it is slated for next year. As for the Mountain Valley Pipeline, a planned 300 miles of construction has begun in North Carolina and is unlikely to end until next year. Earlier this year, protestors tried protecting trees the Mountain Valley Pipeline was set to tear down by camping out in them. The clock is ticking, and local environmental groups are wasting no time.